This kids friendly collection from Nike Basketball is set to hit stores tomorrow. 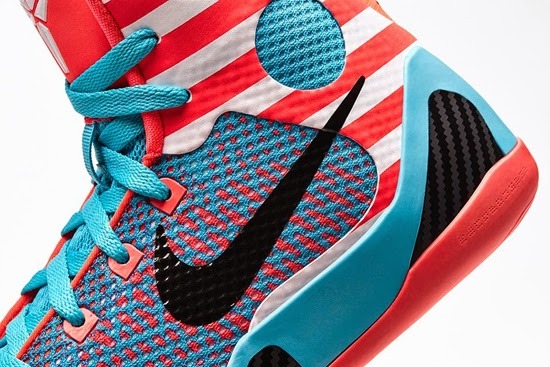 Known as the "Barbershop" Collection, this Pack features the Nike LeBron 11, Nike Kobe 9 and Nike KD VI. All made exclusively for kid's featuring a unique barbershop stripe on the upper. 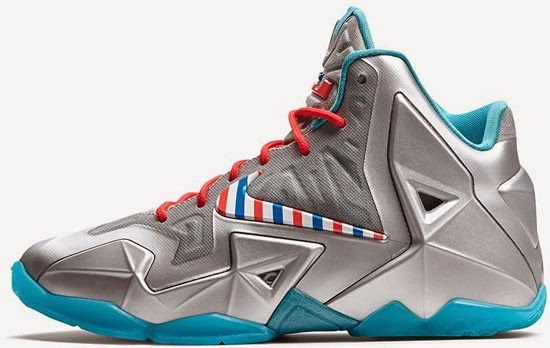 The Nike LeBron 11 comes in a metallic silver, white, turquoise blue and laser crimson colorway. Featuring a silver based upper with crimson and turquoise accents finished off by a white Swoosh on the side with barbershop stripes on it. 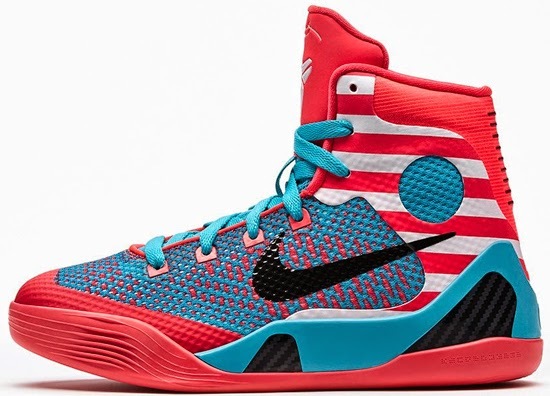 Next is the Nike Kobe 9. 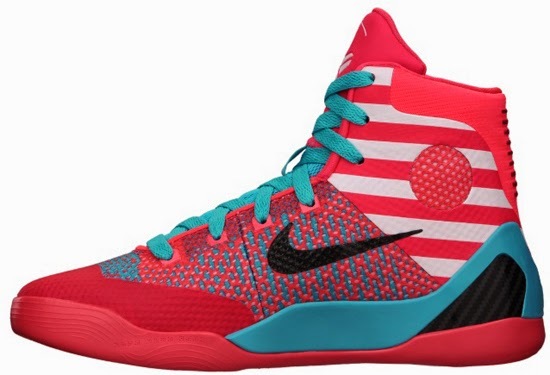 This pair comes in a laser crimson, black and sport turquoise colorway. Featuring a crimson based upper with turquoise and white accents finished off by a black Swoosh on the sides and white stripes. Third is the Nike KD VI. This pair comes in metallic silver, white and turquoise blue. 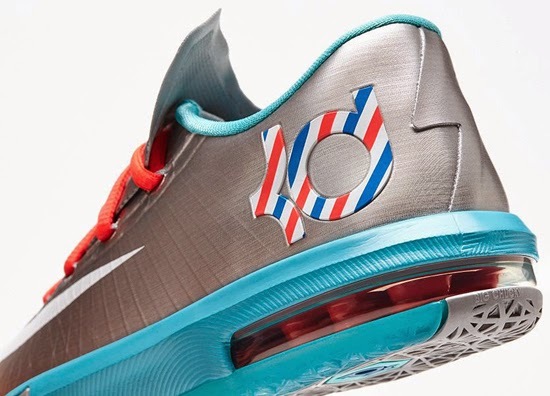 Featuring a silver based upper with crimson and turquoise accents finished off by barbershop stripes found on the "KD" logo on the heel. A general release, look out for this "Barbershop" Collection at select Nike accounts worldwide on Friday, May 16th, 2014. Retail is set at $140 for the LeBron GS which will also be available in preschool and toddler sizes. The Kobe 9 GS retails for $125 while the KD VI GS retails for $100 and will be available in preschool and toddler sizes as well. 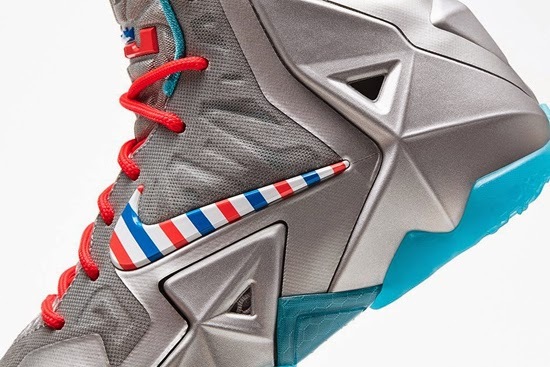 Enjoy the official images below of the Nike Basketball "Barbershop" Collection featuring the Nike LeBron 11 GS in metallic silver, white, turquoise blue and laser crimson. They Nike Kobe 9 GS in laser crimson, black and turquoise blue as well as the Nike KD VI GS in metallic silver, white and turquoise blue. If you're interested in picking any of these up when they release, check in with your local spots to see if they will be receiving them. 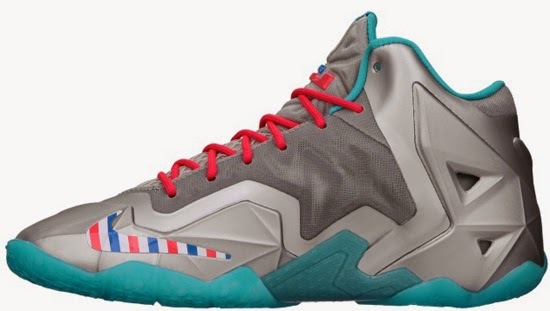 Those of you looking for the LeBron 11 now can, grab them from eBay here. Those of you looking for the Kobe 9 now can, grab them from eBay here. Those of you looking for the KD VI now can, grab them from eBay here.